← 2 Months In…How is TRID? What Will Rates Do Over The Next 6 Months? Every 6 months I give my prediction on what will happen with 30 year fixed mortgage rates for the next 6 months. Before I give my prediction and discuss the reasons, lets see how I did with my prediction 6 months ago (feel free to go back through my blog over the last 2 years and look at all my predictions). 6 months ago Freddie Mac’s weekly survey had rates at 3.84% with .7 points. I predicted rates would rise .25% to .375%. The weekly average this week had rates at 3.92% with .6 points. Not quite a .25% increase but not a bad prediction. I basically predicted rates would rise slightly and they did. So, what is my prediction for the next 6 months? RATES WILL RISE TO 4.25% BY JUNE. Why the increase? There are many, many factors that go into what direction mortgage rates will go including the global economy, gas prices, inflation, unforeseen global events, politics, etc. But to predict rates just listen and watch the FED. The FED increased the FED funds rate in December and has indicated that they will continue to raise rates gradually. This is the strongest indication of what will happen with rates. The FED has been itching to raise rates for the last year and finally felt that economic indicators warranted an increase in December. With the FED eager to raise rates they really do not need robust economic figures to accomplish their goal. Any slight plus news and rates will rise. Any negative news will probably be reasoned away. In my opinion, it will take some horrible economic numbers for rates to fall over the next 6 months. I don’t foresee that happening. 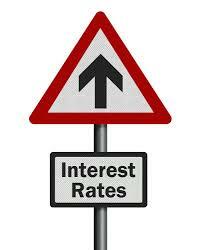 I think we are currently at the bottom with rates hovering slightly under 4%. I believe the days of 30 year fixed rates in the 3’s is about ready to say goodbye for a long, long time!